Should we try to banish our Ego? Let me begin by saying- my Ego did not want me to post the picture above. My alignment is off and this photo is not like those you will see in magazines or Pinterest. This was the first time I was able to see myself in the Wheel pose and my first reaction was….DELETE…DELETE…DELETE. As I continue to study Yoga through reading The Sutras and modern interpretations of ancient wisdom, I attempt to apply those teachings to my daily life. It’s an uncomfortable process at times. I am confronted with my vanity and my sense of entitlement to a ‘perfect’ day that goes ‘my way’. I am confronted with my jealousies and my Ego. Is it necessary to banish the Ego in order to realize your authentic self? Why bother? 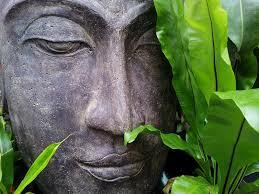 In Buddhism, the Ego is considered to be a myth or falsehood because we are all One with the Divine. From the purely Yogic perspective, Patanjani’s Sutra 1.4 states: ‘Vritti Sarupyam Itaratra’, a reminder that our thoughts can create a distorted sense of self. When we make our thoughts our reality, we are stepping onto a very slippery slope. In the Western world, our mind and thoughts are not questioned. What we think becomes our reality -many times without question. When our perception is clouded by distorted thoughts (usually negative thoughts that become part of our belief system about ourselves), this can cause us to be very unhappy robbing us of the joys of life. The study and physical practice of Yoga helps us to challenge these thoughts (which become beliefs and eventually actions) and begin to see the world and ourselves in a more realistic light. This can bring us to moments where we have to confront past traumas or mistakes we have made and begin the healing process of forgiveness. It may begin on the mat where we stop comparing ourselves others and accept our current abilities and challenges. Our practice naturally flows from our ‘life’ on the mat to our life in the world. Where does the Ego come into play? Personally, I believe we need our egos to ground us and give us our identity so we can just do what we need to do to survive- work, eat, sleep- all with our own preferences and prejudices. We run into trouble when we do not question our thoughts and resulting emotions and reactions. Our Ego is quick to judge everything in order to protect us from harm. This can cause us to react negatively to almost anything from criticism to a perception that another person has more than we do. We become stressed and anxious or perhaps, even angry creating tension in our muscles and even an elevated heartbeat or blood pressure. Our emotions affect us profoundly and this is why reining in the Ego can be so good for our mental health as well as our physical health. Our Yoga practice can teach us humility and through the breath and the asanas (physical poses) that bring us fully into our body. In this ‘place’ of stillness, we are grounded and calm. The thoughts don’t matter so much. We sort out what we need and let the rest go. Yes, I posted this picture for all to see…and no, it isn’t perfect. I’m ok with that.